Vault of Light: Collect all the robes, ALL THE ROBES! Collect all the robes, ALL THE ROBES! I'm a collector, I love collecting things. More so in Wow than anywhere else. I love non combat pets, mounts, exalted reputations and achievement points. Something I wasn't quite prepared for was how transmogrification would effect me. I've always kept my Tier gear. Some I held onto because I though it was pretty, some because it held some sort of meaning or special memory. My Tier ten in particular reminds me of my best and favourite time raiding in Wow. 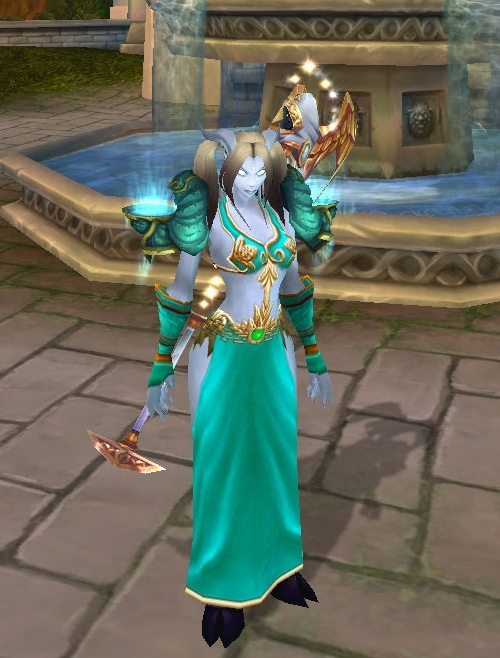 However transmogs release transformed my simple collection of gear into an obsession! I own the same pair of shoes in black, pink, grey and purple. I often buy accessories in multiple colours. 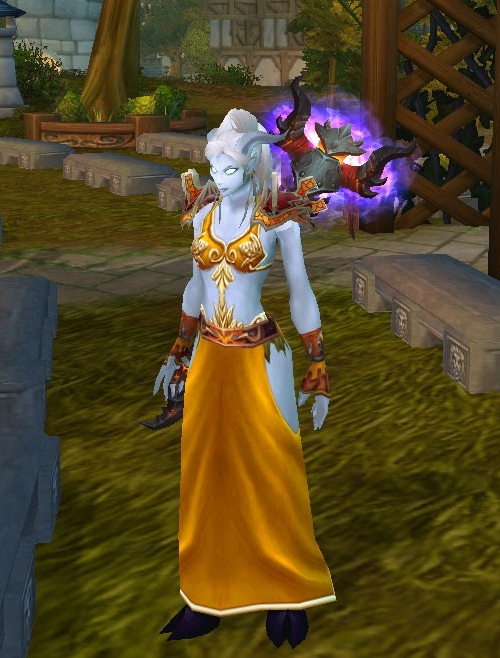 So it's no surprise to me that this quirk of mine would rear it's ugly head in wow in the shape of robes. 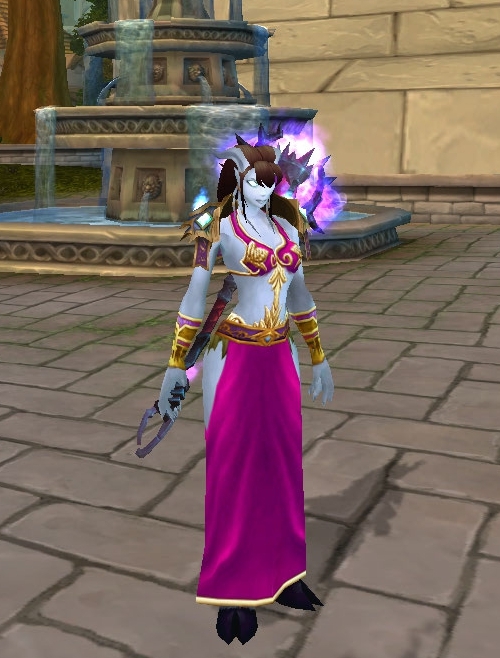 There are multiple robes in Wow which share the same model and I've unknowingly made it my job to collect all of them but I'm quickly running out of space! What about you, do you have any habits in your daily life you find creeping into Wow or vice versa? Do you just have to collect certain things in game? If you'd like details of the items used in any of the images above leave a comment or send me a reply @SocoWow on twitter. I'm happy to say I have all the princess leia dresses and mooncloth look-alikes so I completely understand your problems with space.